When developing a landscape, gardeners want to select plants that will thrive in the garden. 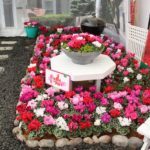 Choosing the ideal plants and varieties in the landscape is the key to having the eye-catching appeal we are looking for when we enjoy our gardens. I select plants that are true to form in natural settings. When you’re able to find compact plants for borders, know which varieties grow best in sun or shade and understand which plants will thrive in mass plantings, the design of your landscape begins to take shape. 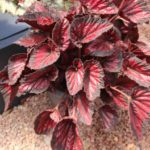 I’m always seeking winning varieties for the landscape and would like to share some of my favorites this season with you. These plants have all been trialed in garden beds around the country with success and should find a home in consumers’ gardens as well. Sun Parasol by Suntory is a collection of mandevilla hybrids that will add an instant tropical feel to your garden. The collection has rich and vibrant colors to brighten up outdoor living areas. 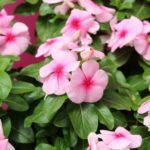 Sun Parasol is a great selection, as its color holds throughout the season, has excellent branching and climbing habits, making it useful as an upright bedding plant in the garden or focal point in your patio container. 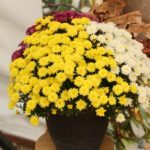 Grandaisy is an argyranthemum hybrid from Suntory (pictured above). It boasts heat tolerance and thrives in the garden during those hot summer days. The flowers are large and bright, and the Deep Red, Pink Troumaline and Gold varieties are all show stoppers in mass landscape plantings. Gardeners enjoy their versatility, as they flourish in the garden and perform well in balcony boxes and patio planters. This interspecific begonia from Syngenta Flowers is early to flower, with very large blooms that sit on top of the foliage, allowing for the flowers to be the focal point of the planting. For the first time, this category has a white flower to add to the garden, and the flowers continue blooming all season long. The large flower size and easy maintenance make this a winner for garden borders or mass plantings in the landscape. Bred by Dümmen Orange, this is the leading dahlia for the landscape market as XXL performs consistently in the garden throughout the country. Its vigorous growth and strong stems will have this dahlia standing stout in the garden at about 24 to 32 inches tall. The pompom shaped flowers sit on top of the foliage, making for a very showy garden presentation as well as great cut flowers. The XXL dahlia blooms all season, and its flower power will make any gardener smile. This geranium, available from Westhoff, won the 2017 trophy for top zonal geranium at the Colorado State University trial. The dark green foliage really sets off the deep color of the blooms, which is attractive to consumers at retail. 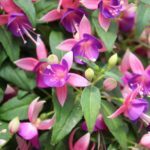 For growers, this compact, well-structured plant is perfect for your 4- to 6-inch programs, and in the landscape, gardeners will enjoy continuous blooms throughout the season. Westhoff’s Chameleons continually change colors throughout the season, reacting to light levels and temperatures, giving gardeners a bold blend of colors in one plant. In the garden, these are outstanding performers, blooming into early October and giving true color all season. Indian Summer Improved won ‘Best of Show’ at the 2017 Colorado State University trial for its eye-catching color and strong garden performance. They are easy to grow, colorful all season, and proven performers in the landscape. Bred by Green Fuse Botanicals, this series of lupine should be in everyone’s garden. The flower spikes grow to about 24 inches tall and come in a mix of bright pink, orange, yellow and deep blue, adding height, texture and bold color to the landscape. These plants are hardy to Zone 4, thrive in full sun, and are the first lupine to have no daylight requirements to flower and continuously bloom throughout the season. Staircase is easy to grow and will be a show stopper in any garden. An all around winner in the landscape, the Sunstanding Helios impatiens from Dümmen Orange are compact with vibrant blooms. They thrive in both sun and shade and grow well in the heat and humidity — they are outstanding anywhere! For growers, these are also available as Quick Turn Cuttings, allowing a five- to seven-week finish for packs, reducing production time and not taking any additional space. 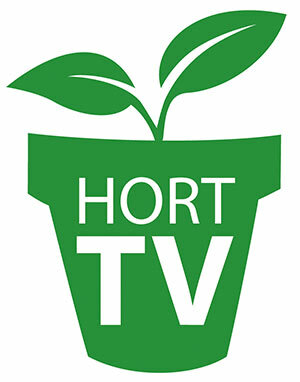 Consumers will enjoy the wide color range offered in this series and how easy they are to grow in any garden setting. The garden’s new super sunflower, ‘Sunfinity’ from Syngenta Flowers, blooms continuously all season long. Traditional sunflowers offer one bloom and then die for the season; the new breeding for Sunfinity offers gardeners a sunflower with multiple stems and flowers that rebloom, with no deadheading or pinching required. 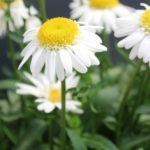 The multiple blooms make it a great option for cut flowers and these fast growers will make a strong impact in mass plantings, growing 3 to 4 feet tall and 2 to 3 feet wide in the landscape. Another continuous bloomer whose fuchsia flowers are eye catchers in the garden is the ‘Rockin Fuschia’ salvia from Proven Winners. This makes a great addition to any pollinator garden, as hummingbirds, butterflies and bees are all attracted to its tall bright flowers. Their upright growth habit makes them perfect for borders, and the showy flowers are appealing in mass plantings. It is heat and drought tolerant and requires no deadheading, making this a maintenance-free plant for gardeners.